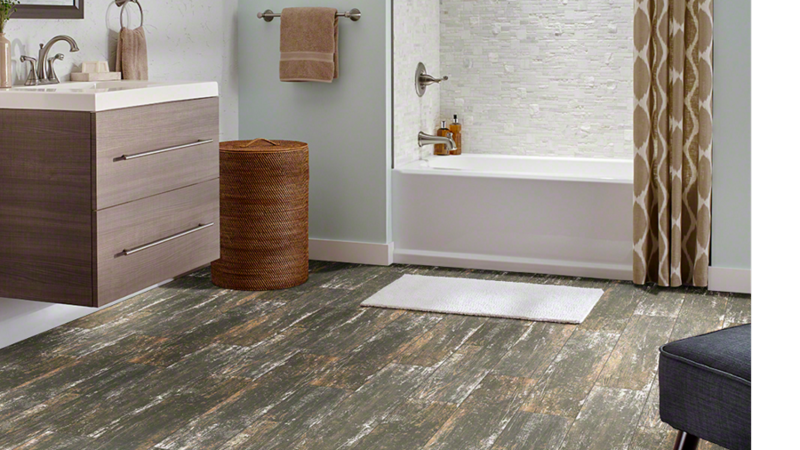 This Vintage Copper Matte tile brings the beauty of reclaimed wood without the upkeep. 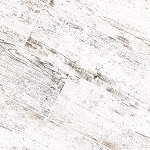 The porcelain tile is extremely durable and ideal for high traffic areas, making it ideal for your busy lifestyle. 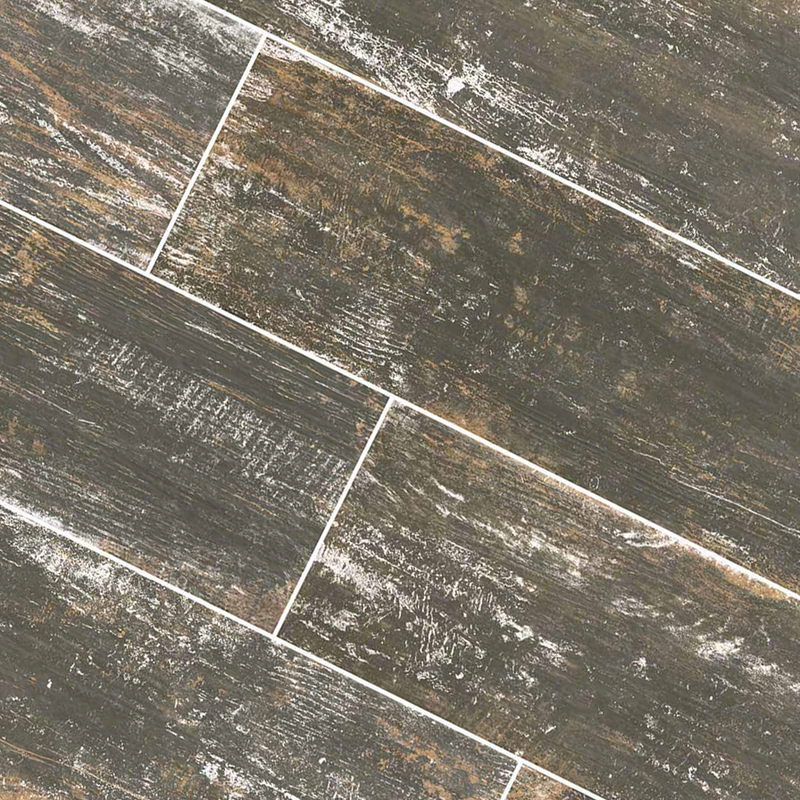 The grain lines throughout illustrate this flooring’s variance from a deep charcoal color to a whitewash with an occasional brush of rust. 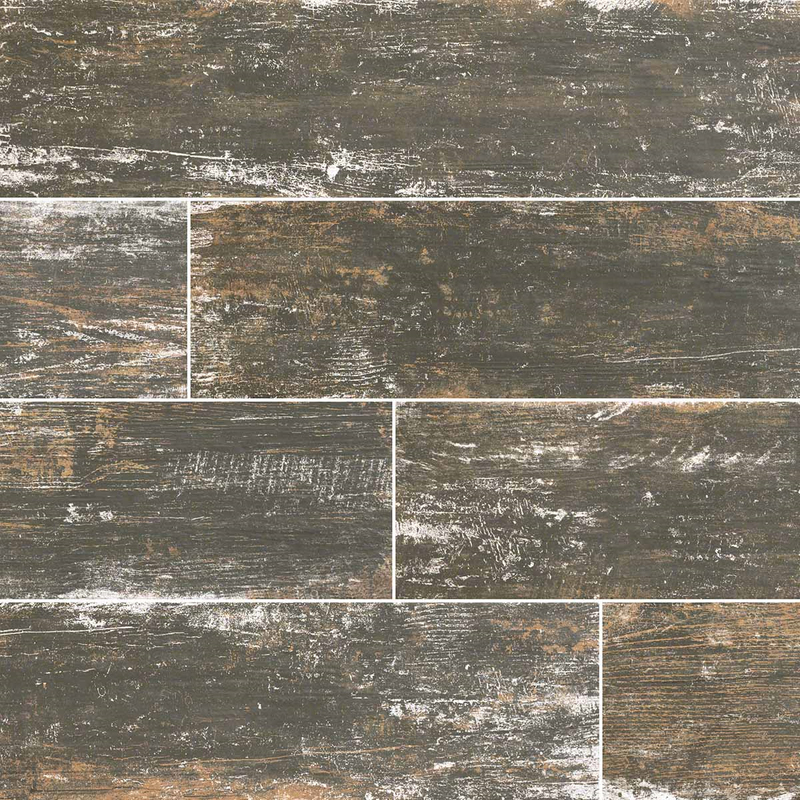 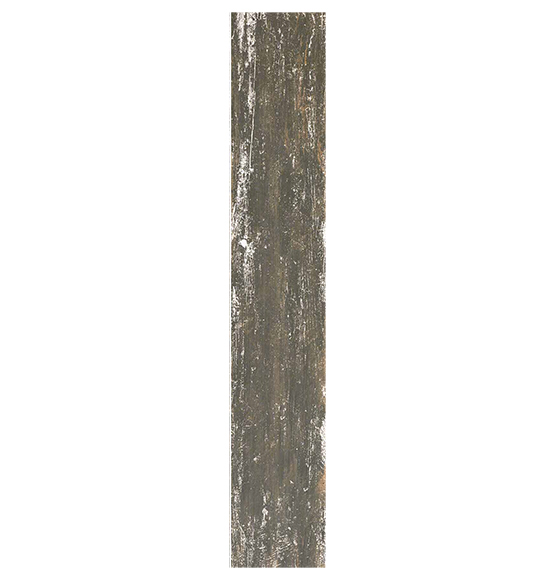 This material is ideal for bringing a rustic touch to any interior.